As usual, Shakhtar were accompanied by an impressive group of fans. The fans took autographs and made selfies with the players and coaches of the Donetsk team. 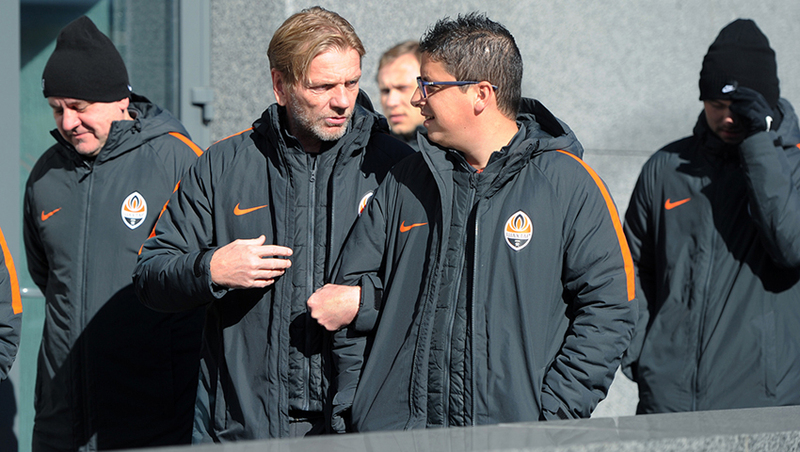 After getting charged with positive emotions, the Orange-and-Blacks returned to the hotel. The Pitmen’s further schedule includes lunch, a short rest and departure for the match. The Premier League Round 19 game Shakhtar vs Vorskla kicks off at 17:00. Live broadcast will be available on Futbol 1 TV channel. You can buy tickets at the OSC Metalist, on shakhtar.com and the club’s partner sites, also from retail outlets in Kharkiv.